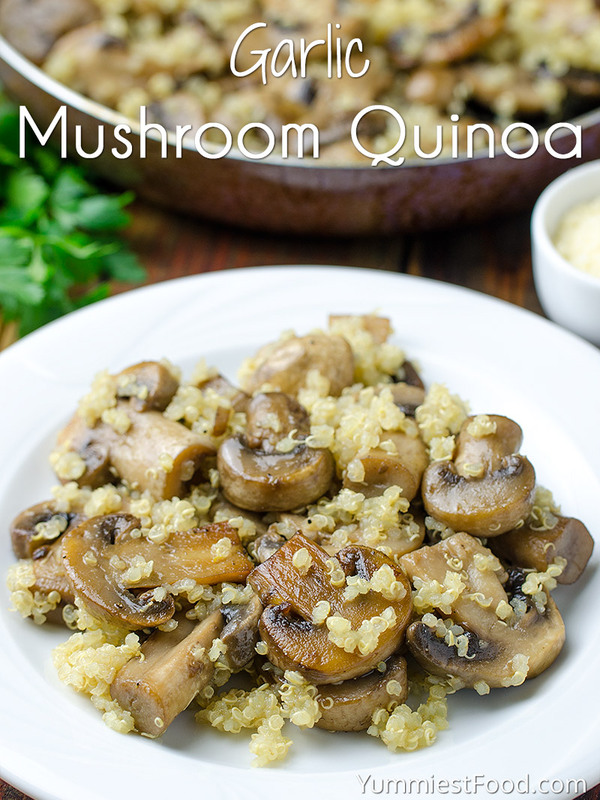 GARLIC MUSHROOM QUINOA – a simple, healthy and gluten free side dish ready in 15 minutes. 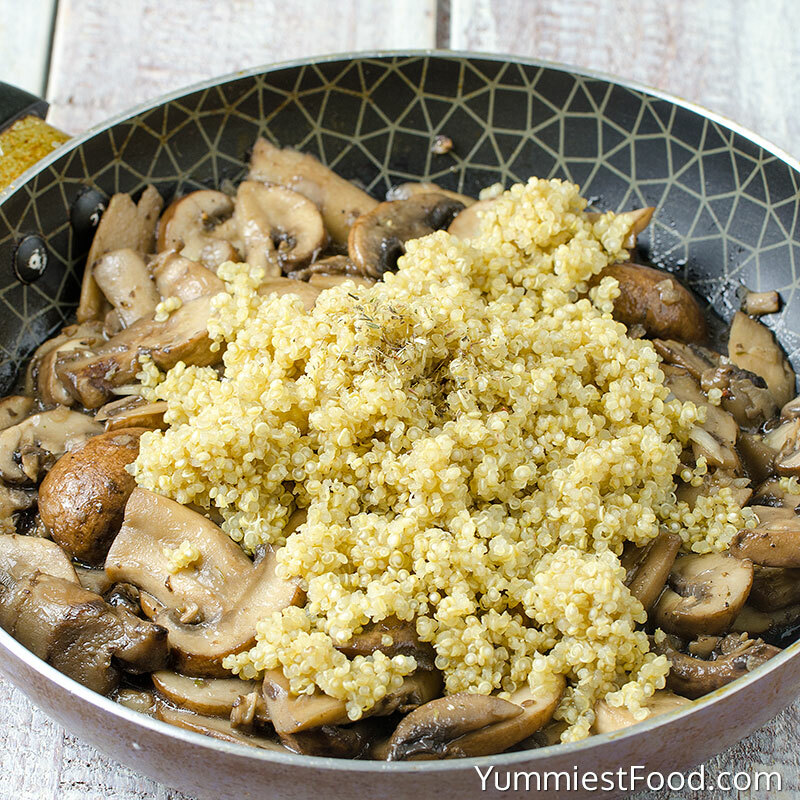 Easy side dish recipe with mushrooms, garlic and quinoa! 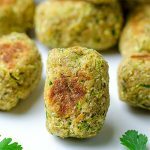 Healthy, low in carbs and calories, vegetarian and gluten free. 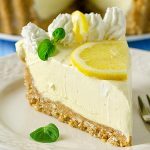 Super easy to make and so much flavor with so few ingredients! 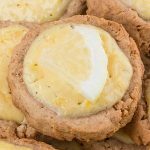 The ingredients are simple but work well together. 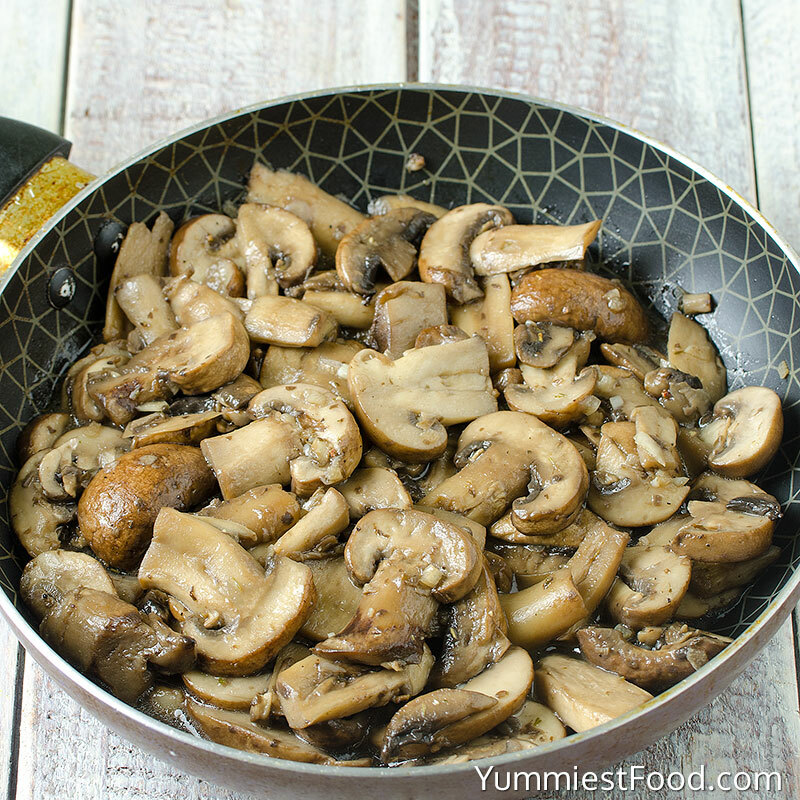 Because this recipe is so few ingredients, the type of mushrooms are important. I used creminis which are widely available, though portabello or oyster mushrooms would be excellent too. 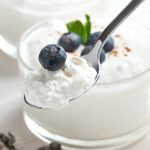 This is an unassuming recipe that might be overlooked initially, but once you’ve tasted it, it will become a fast favorite. 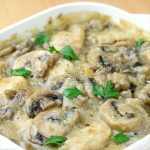 This dish is one of those recipes that adapts easily to whatever you have on hand. 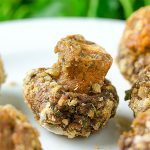 If you aren’t mushroom fan, the principle of this recipe is so simple you can swap in any other veggie you love or have on hand, broccoli, butternut squash and sweet potatoes. Another thing that’s wonderful? Quinoa cooks in only 15 minutes, which makes it perfect to store in the fridge and add to your weeknight dinner menu or toss in your lunch. Of course, making sure you know how to properly cook quinoa will make your meals that much better. 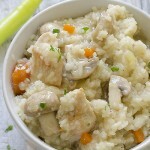 Quinoa can be bitter if you do not properly rinse it before you cook it. Place 1 cup quinoa in a fine mesh strainer and rinse it a few times under cool water. Using different liquids brings a bigger flavor dimension to the quinoa, but water is great too. I use 1 cup quinoa and 2 cups of liquid, which will make about 3 cups of cooked quinoa. Once you’ve learned how to cook quinoa, this recipe just might be a new favorite for you too. I have some quinoa saved in the refrigerator right now, so that I can make this again later this week. 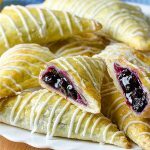 Very fast and easy to make yet has a gourmet flavor to it. This will be one of my go-to side dishes from now on! Enjoy! 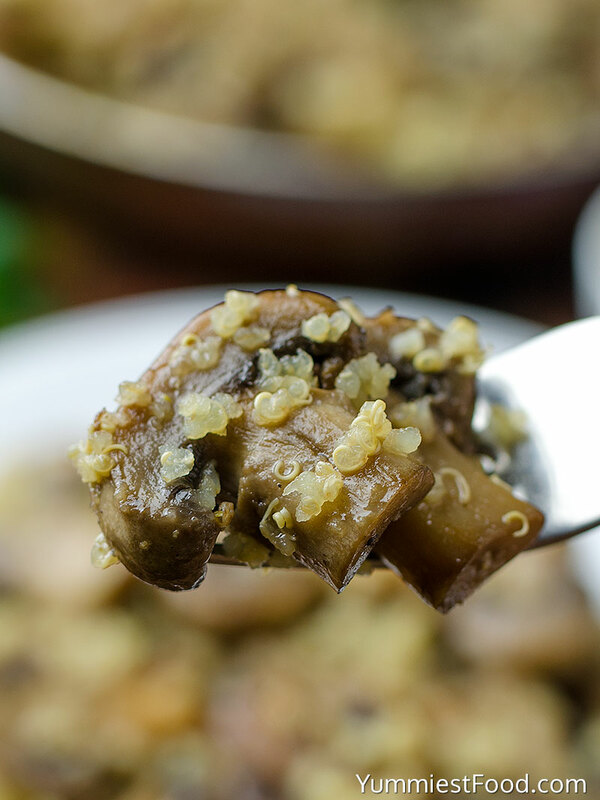 GARLIC MUSHROOM QUINOA - a simple, healthy and gluten free side dish ready in 15 minutes.